We love to see love in our booths! Whether it be parents embracing children, best friends linking arms, or lovers locking lips, we adore it all. 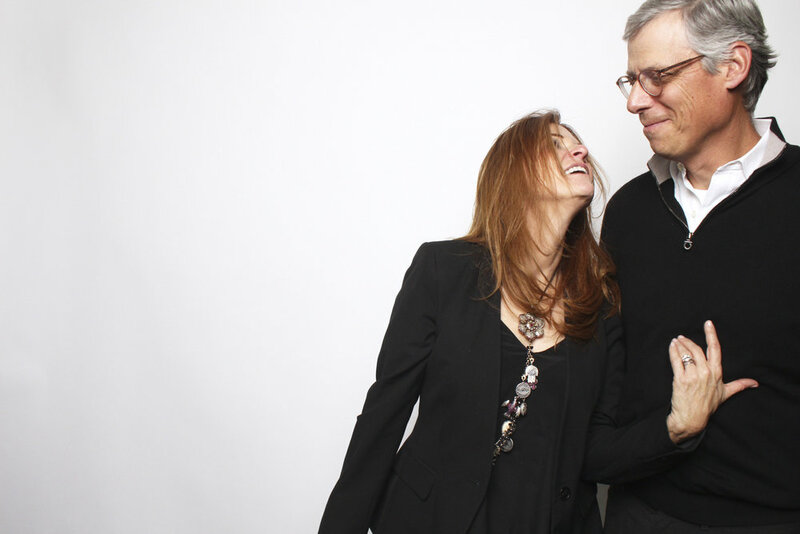 So, in anticipation of the holiday of love we want to share some of our favorite expressions of love that we've captured this past year. You know we like to play in our studio. We also like old school toys. Still curious, we played with tops, balloons, and more. We even got Fred from next door to play with us. Our Gif Booth has become a huge crowd favorite. 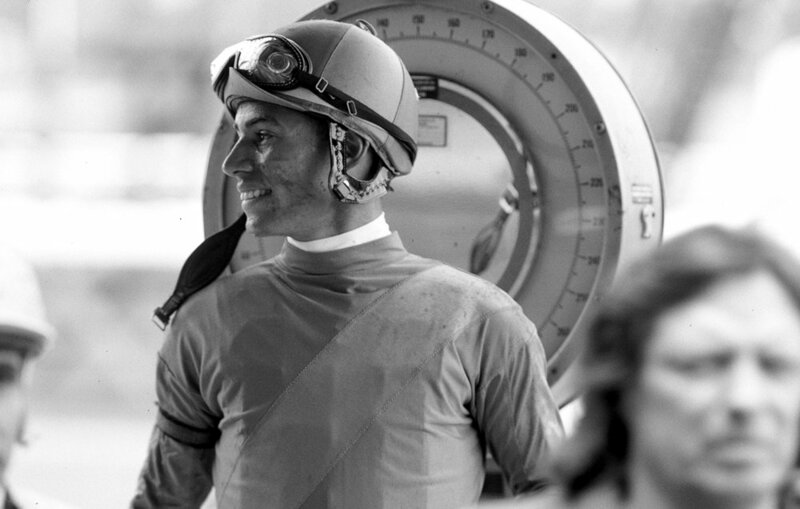 Digital overlays allow for endless possibilities to customize your new epic gif. This week, The Booth was inspired by the famous upcoming Comic-Con International: San Diego. The Booth's Got Your Back! 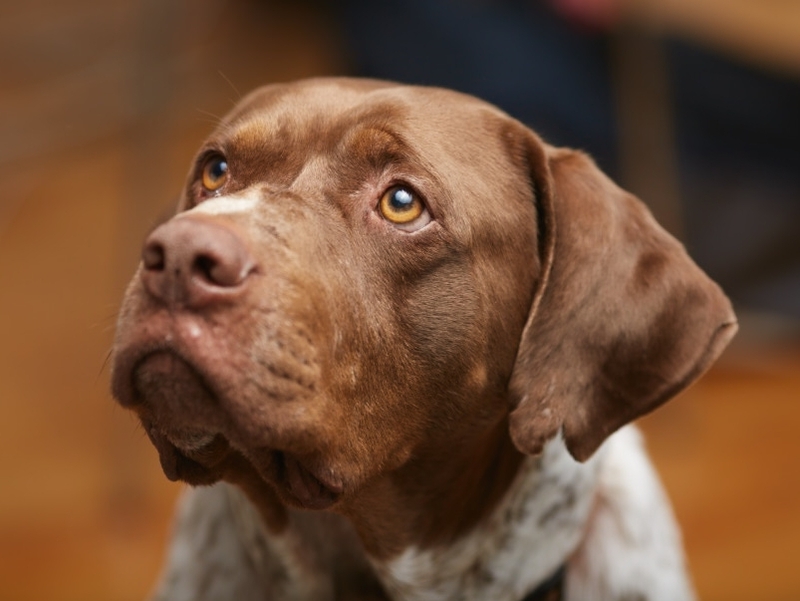 First we want to thank everyone who stopped by for their professional headshot. We hope that your new LinkedIn photos are bringing you all kinds of good business vibes. Rebekah, ready to take your corporate headshot. As usual, we made new friends and were happy to reconnect those we have met on the circuit. Our all-time trade show favorite, David Nay of Think Green Promos was a friendly face in our booth. He showed us some fabulous, innovative products (backpacks and water bottles with subtle, well-thought out and very clever details were our favorite). He gave us a great smile for his new corporate photo. Hey David! Looking good on our iPad Kiosk social media tool. We saw some amazing and smartly thought out displays. One of our favorites was by Skyline Exhibits, who strategically placed a video display on a luminous wall with the same graphic, only still. It was just gorgeous and the effect was mesmerizing. Freeman showed off an on-site capability to speak to attendees about their dream space and make digital renderings ON. THE. SPOT. They also did it in their cool double decker exhibit, a design concept also utilized by Gorilla Production Group. Lego was the theme with Spoon and Impact XM. Using these building tools each company told their stories in a unique and tactile way. The week was full of so many great ideas and fabulous people. We are looking forward to following you throughout the year. See you again in 2018! The Booth Photo & Video presents 2017 Valentine's Day fun! Check out this year's team video! We love seeing past and future clients at BizBash New York. We also love see what's new with other exhibitors. Here are some ideas we loved. Edible Exhibits: From edible glitter to printing your own face on a cookie, this year’s BizBash NYC was full of delicious discoveries. All around us, we saw services that highlighted performance and creativity. Our neighbors, Street Rooster brought oracles to divine answers for attendee and guest questions. The New Place Players offered an opportunity to dine amidst a theater production. The New Place Players offered an opportunity to dine amidst a theater production. Cirque-tacular blew us away with unique costumes and performances! It intrigued us to the idea of a masquerade holiday party this year. By the way, did anyone see that purple dress they brought in? It was spectacular! Our own Rebekah experienced Nail Printing Events first-hand. How did they get that Jets logo on her nail without it being a decal?!? SPARTY was in the house showing people how to party, relax, and get pampered simultaneously. Why didn't someone think of this sooner? Ahhhhh. Tryon Entertainment brought life to the event with their living installations and live décor! 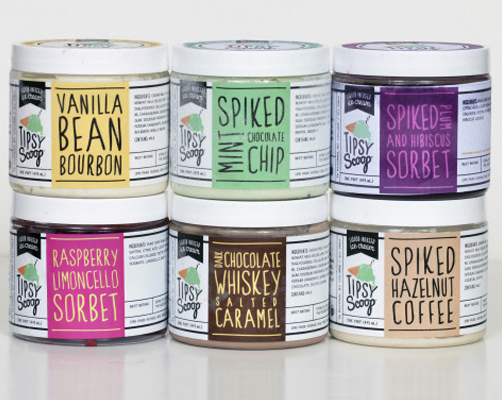 Tipsy Scoop had a very unique take on the ice cream industry combining some of our favorite indulgences with their spiked ice cream. 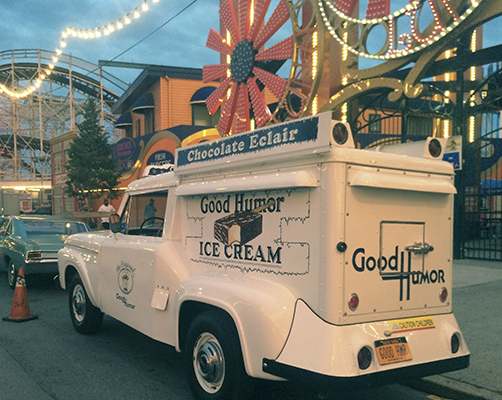 For a more traditional take on our favorite frozen food, you can check out The Vintage Ice Cream Guys and bring America’s original ice cream truck to your special event. 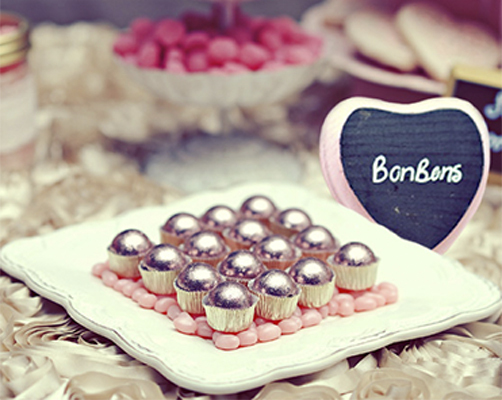 With Bedazzle My BonBon this notoriously tasty treat becomes your event’s most memorable decor. Fatty Sundays chocolate covered pretzels modernizing the design of a classic dessert to fit any brand, occasion, or event! It was a good and creative year for all. Thanks BizBash. See you again next year! It's that wonderful time of year again! Your employees work hard all year round, an extravagant Holiday Party is a perfect way of showing gratitude. We love all levels of creativity and a photo booth is the perfect element to add to your party. Whether it's a still image on a festive gold sequin background or a gif booth with lots of confetti, this party will be one to remember! Our studio-quality 4x6 prints make great keepsakes too! Our Festive Gold Sequin Backdrop is always a big hit! Have a set design already? We'll come in camera ready!